Our co-founders Ryan & Sean have recently announced they have launched gymcreate. This new business will offer creative & digital marketing solutions for health & fitness organisations of all types. We asked about their reasons behind the decision to expand their offering. Ryan began with ‘gymcareer communicates vacancies via bespoke adverts in a bid to engage with candidates digitally. Many of our customers and peers have commented on our use of videos and images and asked who we use to create it, our answer is simply – we do it. We spotted an opportunity for us to help others develop their business and believe quality branding, websites and successful advertising campaigns can be cost effective. I am myself excited to work with our customers on their projects and brands as it will be something which they feel passionate about’. Sean added ‘Having worked in Digital Media and Marketing for over 10 years I have developed my skills throughout the golden age of advertising. Along the way I have seen many businesses struggle with their marketing strategies and branding and not having the desired results. 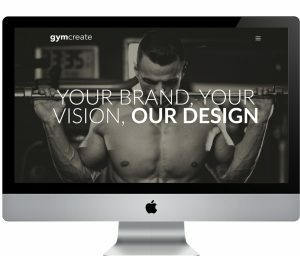 We feel passionately about the UK Fitness Industry and want to help other businesses grow and improve where possible, gymcareers growth is testament to hard work and a great team, however much of our success has come from our ability to create all content in-house and our understanding on how to deliver results using social and online marketing. Through gymcreate we will now work with our customers to share this knowledge and provide them with the support they require’. Whether you are a gym, personal trainer, training provider or any brand operating within the fitness industry and feel you can benefit from some assistance they cover many areas which may be suited to you.